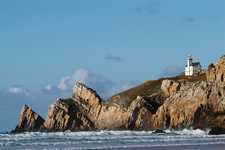 France's Atlantic coast has a special and timeless appeal for property seekers. The towns and landscapes are as varied as it is possible to be, yet there is an overall indefinable atmosphere about the entire coast which exerts an irresistible draw. Property seekers are looking to the Atlantic coast to find their dream homes be they for holidays or full-time living. The winds that buffet the seaside towns can be wild, yet at the same time they are often warm, carrying with them the Gulf Stream influence which tends to bring mild winters and hot sunny summers to the places it touches. The Atlantic coast offers a refreshing haven, where city bound Parisians can spend the long hot summer months, away from the stultifying heat and bustle of the city. And if it's good enough for chic Parisians, then you can be sure it's good enough for anyone! From Biarritz in the south to Brittany in the north, France's Atlantic coast has something to offer property seekers of any nationality, and something to suit all budgets too. If you are looking to buy property in France this year, it is important to realise that although there has been a general slowing of price rises in the country as a whole, this is only in comparison with the extremely strong price increases which have characterised recent years. Property in France is still selling, and prices are still showing a healthy growth, never less so than on the ever popular Atlantic coast. Faded glamour in a surfer's paradise! We will begin our journey at its southernmost point, following in the footsteps of Hemmingway, and visiting the glamorous old resort of Biarritz. Lying in the department of Pyrénées-Atlantiques, Biarritz is close to this department's borders with both Landes and Spain. It is quintessentially a Basque town, with Spanish overtones which render it quite unique. Historically, it was the ritziest of resorts, with Queen Victoria, Frank Sinatra and Ernest Hemmingway as an eclectic group of devotees…though not all at the same time! These days the glamour is of a more faded variety, yet the resort has a timeless elegance with its belle époque architecture still very much in evidence. Biarritz attracts all ages and tastes, and you will find the elderly 'taking the air' alongside the ultra trendy who gather for the superb surfing. Families too are attracted to the lovely sandy beaches which border the town. It is also worth remembering that Biarritz, being close to the spectacular Pyrénées, is a town with winter appeal as well, with excellent skiing and après ski available close by. Property in and around Biarritz will never be cheap, but should represent a good investment if you buy wisely. The area is popular with holidaymakers and so a rental income from your property here is a useful bonus. And with budget airline Ryanair now flying into Biarritz the area is gaining in desirability with both buyers and holiday makers from the UK. Travelling on up the coast we come to the Gironde estuary, in the Bordeaux area. This is a vastly popular region of France for many reasons, not least of which is its cosmopolitan atmosphere and successful economy which attracts youth and wealth to the area. The Gironde is also blessed with beautiful fertile land which produces the very best of old school quality French wines. The wine industry is huge here, and there is an interesting spin-off business in wine tours and courses, which play a significant part in increasing the gite and Chambre D'Hotes trade in the area. Property around Bordeaux can be expensive for these reasons and also because of the excellent travel links which make Bordeaux one of the most accessible parts of France after Paris. A little further north we arrive in the Charente-Maritime region of France's west coast. Here there are some of France's sunniest and sandiest beaches, and some unique and delightful islands too. The main town of La Rochelle is ever popular, and as it lies on a TGV line (TGV being the abbreviation for the Train à Grande Vitesse, the high speed train network which has revolutionised rail travel in France) it seems its popularity is assured. 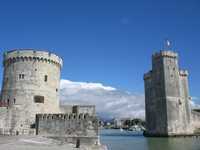 There are also good air links to La Rochelle from the UK, with budget airline flights into the town. The islands of the Charente-Maritime give the region an added attraction, as each has its own individual style and atmosphere. The appeal of living on an island, together with the naturally limited amount of property available ensures that property will always hold its value. Heading north again we find ourselves in a place known as Sables d'Olonne, an attractive seaside resort which could just be the next property hotspot on this coast. The town has recently been added to the ever expanding TGV network, with the first train due to run in December 2008. This may seem a long way away, but the popularity of the TGV, particularly with the French, suggests that the desirability of property here will increase rapidly along with the prices. It will be a shrewd investor who buys property here before the TGV effect has time to take off! Leaving Sables d'Olonne to its exciting future, we arrive in the ever popular holiday region of the Vendée. Lying just to the south of Brittany, this stretch of coast with its endless golden beaches backed by towering pine forests has long attracted holiday makers. It is also a popular place to live, as the climate provides almost as much sunshine as the celebrated Cotes D' Azur in the south of the country. As with all the desirable areas on this west coast of France, the Vendée is easily accessed both from the UK and from Paris. The large town of Nantes is nearby, its airport offering flights with budget airlines, and also a TGV station. La Rochelle, just to the south of the department also has a TGV station and an airport. The Vendée coast is, as you would expect, an expensive place to buy property, but the bargain hunter from the UK need not despair of finding a lovely property in this region. Turning you attention inland will reap great rewards in terms of value for money, and yet you will still have all the attractions of the coast within easy reach. Look for example, at the beautiful town of Fontennay Le Compte. Here, just 25 miles from the sea, you can still find many properties which cost under £100,000. Onwards and upwards then, to southern Brittany. A land as diverse as any you will find in a single area of France, Brittany has something to offer everyone. From the wild rugged coastline and traditional fishing villages to the rolling fields, lakes and canals of the interior, the charms of Brittany are endless, and the property market here ever buoyant. Bargain properties can still be found, particularly inland, but there is a steady increase in prices overall in the region. Brittany is closer to the ferry ports of northern France than other Atlantic coastal regions and this also attracts British buyers. Accessibility to Brittany has also recently improved due to budget airline flights into Dinard and Nantes. Thus we complete our whistle stop tour of France's lovely and varied Atlantic Coast. The key advice for those who are hoping to buy property here is to keep a keen eye on the growth and development of transport links, as these seem to be more influential than any other factor in the success of the property market. The recent expansion of budget airlines such as Ryanair has opened up many areas of France which were hitherto unknown in the international property market, and the subsequent pushing up of prices has become known as the Ryanair effect. Whilst this is a good indicator of property hotspots, there is a word of warning worth heeding. Budget airlines have been known to pull out of destinations quite quickly and without warning, causing havoc for those who have invested on the basis of accessibility. Perhaps an even more reliable way of tracking future investment opportunities is to follow the development of the TGV network. The French are justifiably proud of these super fast, super efficient trains, and are investing massive amounts of money in laying tracks and creating new stations. The sheer scale of the investment means that once a town has been added to the network it will remain a TGV destination for ever, ensuring its popularity in the property market. In this way, it is possible to predict the towns and areas which will become important in terms of property trends, which is helpful for those hoping to make a wise financial investment as well as finding a lovely home. There are still many, however, who want to buy a home on the Atlantic coast simply because it offers some of the most romantic locations in France, and if France can be said to be about anything, it is about romance.